The redrafts are now in the books. We’ve reached the end of the line. But, the roadtripN isn’t finished. In fact, it is just beginning. It is time to startup anew. It is time to hit the accelerator and put these prototypes out on the open waves. Yes, that is correct. We have prototypes. All of the drafting and sketching and mixing and blending looks to be finally catalyzing into something tangible. Thanks for the break to cruise in the redrafts for a while. Now, it is finally time! Tomorrow, we set course for the next gen of entrepreneurships. Tomorrow, we launch. 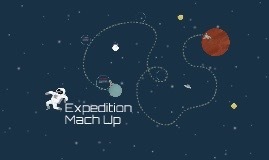 Tomorrow, Expedition Mach Up gets underway and we fire up the engines on our brand new prototypes. Tomorrow, the work-in-progress really gets underway. But tonight? Tonight, we celebrate! Tonight, we celebrate that the process really does work when we work it. The redrafts are in the books! Let’s party! Tags: adventure, entrepreneurship, launch, life, new economy, prototype, startup, travel, venture. Bookmark the permalink.